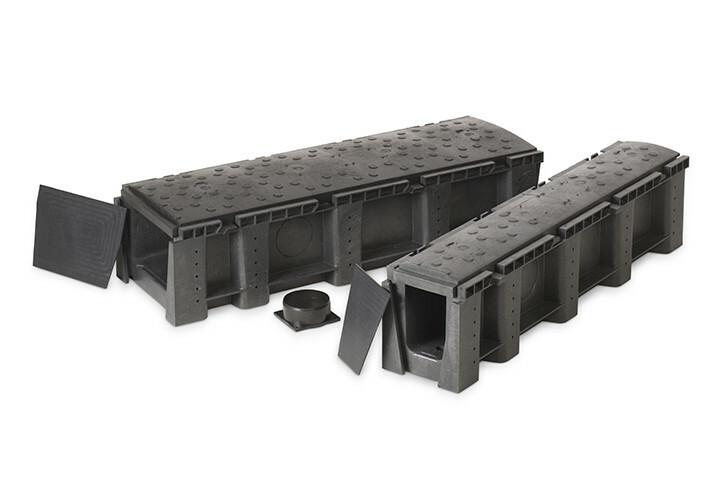 For installing signal, power and communications pipelines along railway sections, in power stations and factories, the Electroplast plastic cable channel is ideal. The cable channel can be simply and quickly moved, which is extremely convenient with temporary projects or on hilly landscapes. Thanks to its lightweight construction, the cable channel is very stable and it provides cables and pipes high protection against external influences. 1.000 mm. 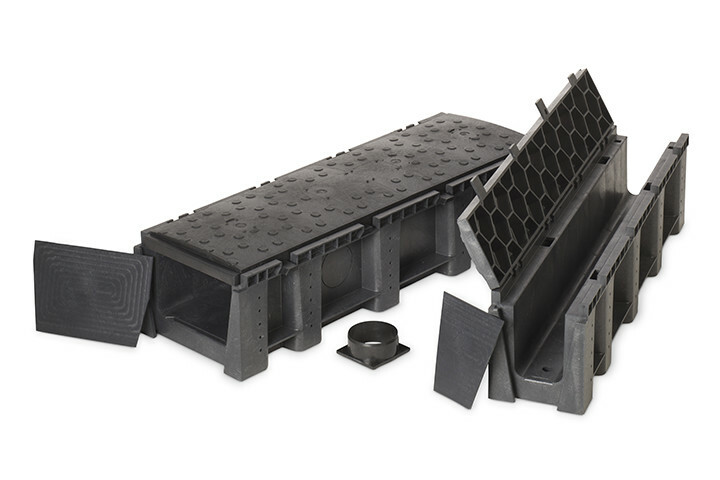 Naturally we also supply accessories in the form of, for example, angle pieces, end pieces and T-pieces, earth nails and pipe connection pieces. Horizontal ridges provide excellent stability after placing in the ground. Mounting of cover over two channel sections is possible. Fixed connection of the cover with the channel, also in open position. Opening of a single cover possible. The covers may be closed by means of screws. No earthing and insulating necessary. Easy adjustment on the spot.